We have some huge news for you all today! We are super excited to tell you all about it, but first, have a look at our brand new teaser trailer! 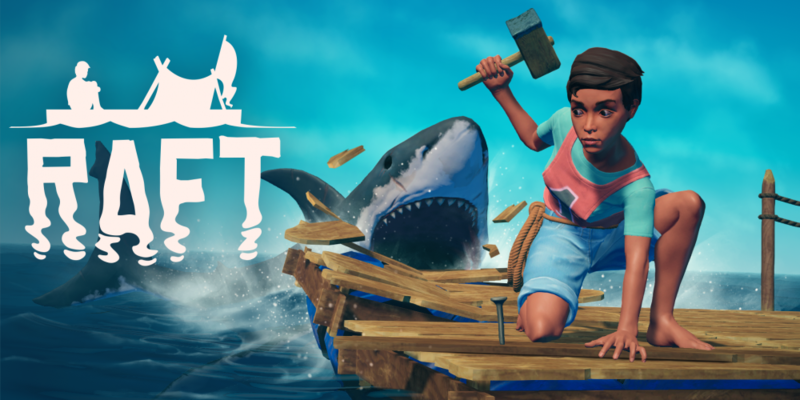 Raft is officially coming to Steam Early Access in 2018! Our Steam page is now live and it feels great to finally have it up and running! It’s important to mention that the game is not yet available for purchase. However, if you want to be notified when it launches, please add the game to your wishlist by simply following this LINK and clicking ‘Add to your wishlist’! If you’re a frequent visitor of our blog, you’ve already seen a bunch of stuff that will be available once the game hits the stores, but you’re in for more! Leading up to release in 2018 even more features and content will be added, enriching your survival experience. Keep an eye on this blog or follow us on FACEBOOK, TWITTER or INSTAGRAM to keep up with the development and learn about all the upcoming additions to the game! 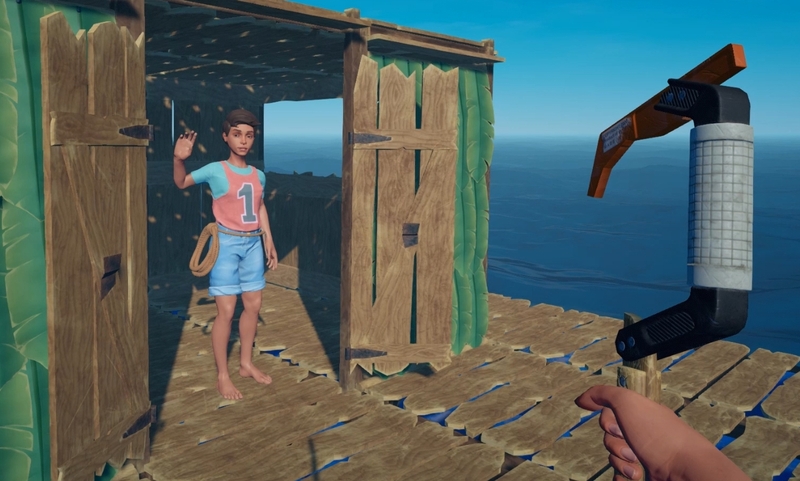 When Raft releases on Steam it will have online co-op multiplayer! You and your friends will be able to survive the ocean together! No longer will you have to endure the vast sea alone! Multiplayer is a feature we have always wanted to add to Raft and many of you have asked for it for a long time. However, implementing multiplayer is a huge and difficult task for our small team and we weren’t sure if it would be possible for us. There’s a lot of different ways of developing online multiplayer and we’ve spent many hours researching which would be best for us. A while ago our programmer started working on implementing multiplayer onto our existing features parallel with adding new ones. It hasn’t been an easy task but we are now at a stage where we can finally say multiplayer will be available in the Steam version of Raft! AXOLOT GAMES WILL PUBLISH RAFT! We are pleased to announce that Raft will be published by Axolot Games, the developers behind the hugely popular game Scrap Mechanic. When we first met with Axolot Games to discuss this cooperation we quickly felt this was a perfect match. As they already have a lot of experience and passion for survival games, their support will help us turn our, and your, vision for Raft into reality. However, it is important to mention that we are still the same team working on Raft. This partnership and exchange of ideas will simply strengthen both games as we continue development. For a long time our website hasn’t been getting much care and it’s been a bit messy. Luckily that has now changed as we now have an official website for Raft! You can check it out right /HERE/! With this there’s also a new blog. But don’t worry about finding it, because if you’re reading this you’re already here! This place is where you’ll find all Raft related news from now on. However, we will also continue posting on Facebook, Twitter and Instagram as soon as there’s something new here! In celebration of this announcement there has been a small addition made to the Itch.io version of Raft. If you look hard enough, you might be able to find the Scrap Mechanic Duck to decorate your floating home with. So get out there and find it! To accompany this, Scrap mechanic has also received a new item to add more flare to your creations, the Shark Trophy, so go check that out as well! We hope you’re all as excited as we are about the future of Raft! As always, tell us what you think and share the word! If you’re too excited for more Raft to wait until the next blog post, there’s some fresh screenshots up on the Steam page! Have good day and we’ll talk to you soon! I love that you guys have finally been able to get the game on steam, and all this including the website and collaboration does explain why it took so long time to say anything on the blog. And i’m really excited to get to test the new updates. I don’t know it red beet will see this but I used to play this on itch.io but i stopped because eventualy not even the shark can stop you but it appaers your adding more content when you sell it on steam i can’t wait to buy it! YES! I love this game! I’m so glad you are doing more with it!!! Oh, neat. How will you guys be handling the transition to Steam for existing itch.io owners? They aren’t, annoyingly. People who own it on itch.io aren’t being given any kind of discount or key. Oh amazing !!! Love this game !! What a news Is It ! Raft soonly on Steam, what a good news ! If you need help with the French translation of the game, I will be happy ! Good luck for the developement phase, I am looking forward to discover the new features ! Can I play the game earlier than in 20!18?) Closed testin’, so to speak, example.. I understand that you are moving to Steam with the updated version, what happens to the people that paid for early access via the itch.io site, will we get a key to steam or will we have to pay again for the game? On Steam it’s only listed as a Windows game ☹. Also, why is half this site in Swedish? redline, because developers of the game (Redbeet) – is Swedes. Funny, it’s English on my phone. Dead pent content, Really enjoyed looking at. Dear raft I would love to play it. I did actually pay a small amount at itch.io because i did like the idea of your game but now i’m interested how you intend to handle people who already supported you at itch.io. I didnt fin any INformation regarding this in your post. Commenting to be able to check “Notify me of new posts by email.” Please add a proper input field for newsletter subscription! I wonder what the price will be? waiting for version 1.05 on Mac. I really love this game! Can’t wait to it’s realised! I love this game and I’m soooo excited!! and who would attack the player if he approaches it and who would keep a special object. Just wondering. Are you guys by any chance related to the people who made this game? What’s up! Remarkable posting! I love which you detailed Big Announcement! – Raft. Appreciate your specific well-arranged guide approximately Big Announcement! – Raft! And this I became looking for. I’m a tad jealous since i can’t produce the same as the public. and at routine periods throughout the day for muscular tissue growth and also repair work. Will the steam version be free and work on Mac OSX ??? the game will be free? or we gonna need to pay for the game? After its full release it will be paid but free for those who played during early access. I love u guys! The game will cost? I’ve played the Game at the beginning and it was amazing. wish you good luck and a lot of fun. If you want to download and play their game download it off of itch.io. Hey, is there already a release date? Not exactly but it will be released this year! your game is being massively copied on mobile.. Some even claim to be the original. Great job on almost getting it published! But will it be free? Thanks! If you play the game during early access it will be free but if your completely new to Raft after its release then it will be paid. Wait also, can you make hunger and thirst times a bit slower? I get killed on the 1st or 2nd day/night every time! This is a great game and loved it since last year. Keep up the great work. I’m trying to make a huge tower. But I have a question. How will you know who played the game through early access? You did have us use our emails to make a comment is that the way are you gonna send us like a key of some sort? The name I’m using for this comment is my steam. I hope this project continues it production and keeps up the great work! Also I’m a YouTuber. Not a big one but I still upload at most on a weekly bases. If you want me to show case some of this stuff I would gladly love to. The website is my YouTube channel! on the realese date put raft for free.